Welcome Traveller, to the guild of Compagno! 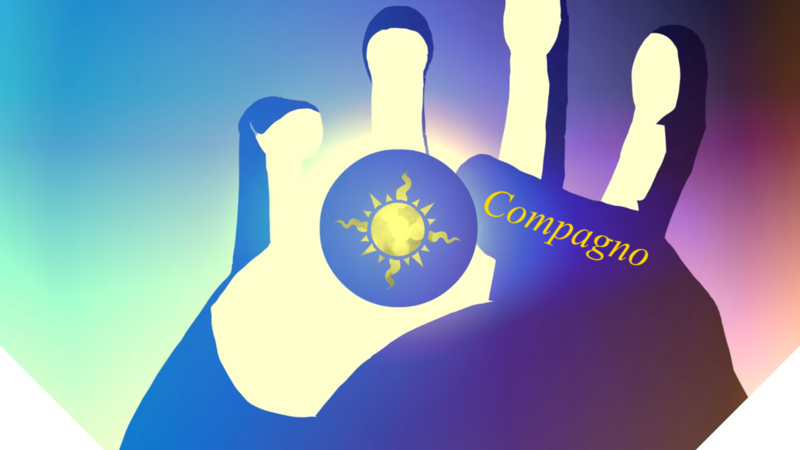 Founded on November the 24th, 2017, Compagno will be dedicated to no one set cause. We accept those interested in fighting, those looking for a community, or those without any set goal in mind. We seek to create a community, built on our principles, and order, so we may continue to florish and grow. Anything else we need to know?*? Nov. 27th 2017: Made discord an application requirement. Miso_Soup and Enduh like this. Why do you want to be a part of this guild? (Two sentences or more): I would like to be apart of this guild because because i need a guild. Second i believe this would be a great and fun guild and i could probably make a couple more friends to play LoV with. Tell us a bit about yourself. (One paragraph minimum): Very calm and chill guy thats likes to have fun and dosn't take minecraft to seriously, Loves to make friends and have fun, grind and fight. Always wanting to learn new things and help the guild progress through hard times, at the end of the day i just like to chill like anyone else would. Congratulations! You have moved on to the interview phase! Why do you want to be a part of this guild? (Two sentences or more): hemm..don't have specific reason but i would say it's for the same thing for every one who want to join a guild (having fun with others ) and helping each other to level up faster alose the introduction of the guild looks really organized and the information regarding the guild looked so professional . Tell us a bit about yourself. (One paragraph minimum):Not much tbh...simple guy . i don't like talking a lot mainly because my english is really bad (us u cant tell from my application xD).emmm i hate bullies either in game or in real life..also i like to stay positive and calm no matter how sh*ty the station im in .and finally i'm very grindy and hard working when i put my mind into something. How Often I'm On: I can be on for maybe 1 or 2 hours because of school. Weekends is 0 currently. Why do I want to join. Some friends to play this server would be nice. MMOs are so much more enjoyable when played with others. About Myself: Well, you'll probably never hear me talk, but I'm pretty chill and just wanna play this for fun. I found this server through a similar server's discord, and it seems really polished with a lot of potential. I obviously love mcmmos and hope I'll find one that I really enjoy. Outside of here, I'm really young, but I hope that isn't a problem here. I'm taking an interest in code and digital art, but thats not going so well rn. Also, thanks Flubby (I think) for the alpha, I'll definitely find a way to repay you. Recommendations: Recommend by Flubby(I think), but was planning to join sooner or later. Nothing else you really need to know about me, hope I get in! How often are you available? : 20 hours a day not including sleep. Why do you want to be a part of this guild? (Two sentences or more): I'm just looking for a group to be a part of and you boys look like a slick group to be in. MMOs are not the same solo. Tell us a bit about yourself. (One paragraph minimum): Im a boy that likes Minecraft MMOs. I played a little bit of DR back in the paid beta. I spent most of my time on Daedwin, I was a pretty prominent boy towards the end of its life. I got a pretty good PC and like to talk. Enduh Uh, is it the End? How often are you available? : Weekends sometimes during the week. Why do you want to be a part of this guild? (Two sentences or more): This guild is obviously the best . Also, I like the style and ranks, pretty cool. Tell us a bit about yourself: I'm a friendly guy, I like to play minecraft mmo's and like to be there at the start so it's more memorable. Played DR and MineZ back in the day. I went to Iceland for 3 months instead of going to school lmao. I'm from the USA. Congratulations! You've moved into the interview phase! Why do you want to be a part of this guild? (Two sentences or more): Just thought it would be useful to be in a cool guild when the server goes up. Also, my brother Stornwald is applying. Tell us a bit about yourself. (One paragraph minimum): I'm in High school. My brother is Stornwald. I've played DR and MineZ. I like playig with groups of friends, and mostly in mmos where it's better than going solo. I like Dungeons r cool. Stornwald and Enduh like this. Congrats! You've been accepted into the interview phase! Flubby, YoungDo1ph and Enduh like this. Thanks Mister soup, we won't let you down!